I once left a box of important files out in the rain and wasted a lot of time drying them a sheet at a time, then filing them in cabinets. It gave me pause. Was I going to have to live with ever-growing stacks of paper files that took up space, were hard to search through, and were fragile? I decided to try digitizing my paper trail. I started scanning documents on my HP scanner-printer-copier, which is mind-numbingly slow and had a buggy driver that crashed my computer, forcing a reboot about 25% of the time I used it. 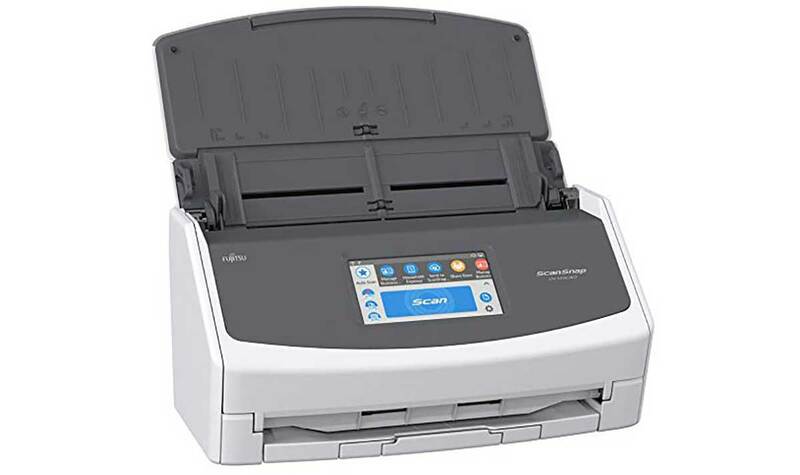 I then bought a sheet-fed Fujitsu ScanSnap. It lets me insert a stack of up to 50 two-sided documents into the sheet feeder and it whips through all 100 pages in a couple of minutes, saving them as text-searchable PDFs. I was honestly surprised that my laptop was capable of accepting data at such a fast pace. This scanner doesn't hog a lot of precious desktop real estate, either. It's surprisingly small -- about 11.5 inches wide and 5 inches deep, with the feeder and output flaps folded in. Evernote's character recognition is almost flawless. That means my documents can be found by entering keywords into Evernote's search field from my Evernote phone app. The other day I had to search for a mortgage document from my files while I was away from home and I pulled it up on my phone in less than a minute. It is so easy to scan stuff, and its transcription of text is so good, that I now scan business cards, menus, user manuals, and any other paper document I might want to look at again. Then I throw the paper out. The software straightens out the images and orients them right-side up. The only time it jammed was when I tried to stack too many of the water-damaged documents through it. The downside, if you can call it that, is the high price tag. But when I think about the hours and hours of time wasted waiting for my HP flatbed scanner to creak across a document, the price seems very low. If someone stole my ScanSnap, or if a meteorite landed on it, I would buy a replacement immediately. It's as essential to my wellbeing as my CPAP machine.